They said he’d never win another major. They said his body gave up on him. They said he could never come back from the public implosion of his marriage and the revelation of his struggles with addiction. Clad in his signature Sunday red, 43-year-old Eldrick “Tiger” Woods defied the doubters, winning his fifth Masters tournament and fifteenth career major championship on Sunday with an easy tap-in for par on the 18th hole at Augusta National. Tiger now has the second-most major wins in golf history, 15 behind Jack Nicklaus’ 18. Woods’ victory came 22 years after his first Masters win in 1997, after which he memorably ran to find his father, Earl, who wrapped him up in a big bear hug. After Tiger Woods won his first Masters in 1997, he embraced his father, Earl. More than two decades later, after tapping in for the win Tiger made a beeline to the gallery again, but this time to embrace his own son just as his father had embraced him years ago in a moment that connected two generations of golf fans -- those who have followed Tiger since his early golf career when he was unmatched on the links and those who have grown up in the post-Tiger age of golf. Many wondered whether Tiger would ever be the same golfer again after a slew of setbacks, including the very public ending of his marriage to Swedish model Elin Nordegren, dealing with substance abuse issues, not to mention a litany of injuries that have sidelined him from tournament after tournament, year after year. 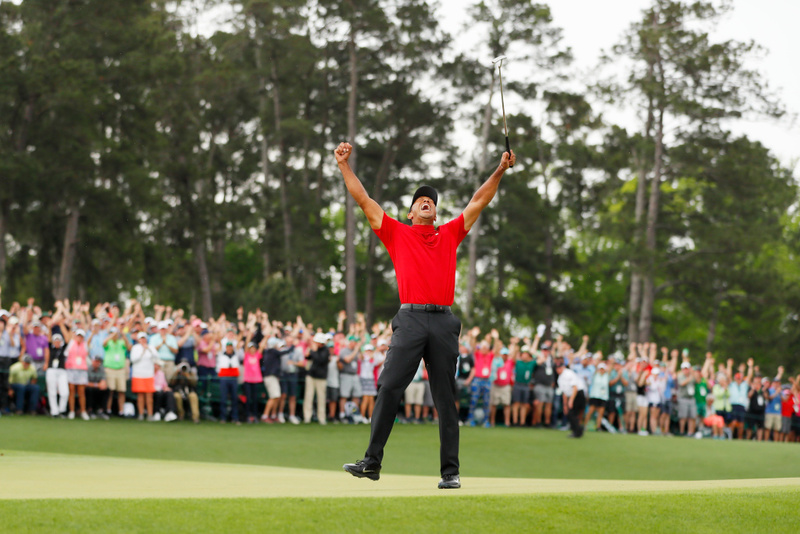 Where does Tiger’s 2019 Masters victory sit among the great late-career comebacks of all time? What are some other notable late career comebacks or accomplishments in a similar vein? What does Tiger Woods owe us?